BuddyDo is specifically designed to bring communities together. 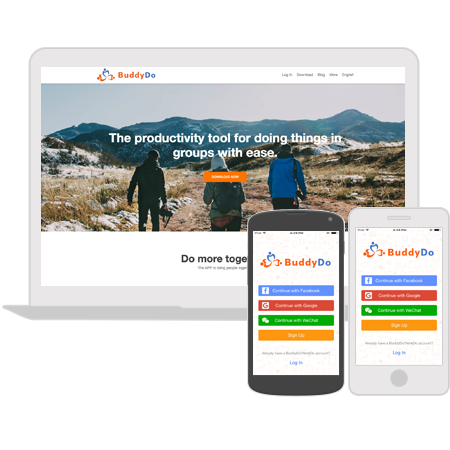 Community or group communications made easy by BuddyDo. BuddyDo shortens the distance between people and amplify the positive effects through productive community and group activities. All your communities, groups, and buddies in one app. Create or join a community, group, or add a buddy! 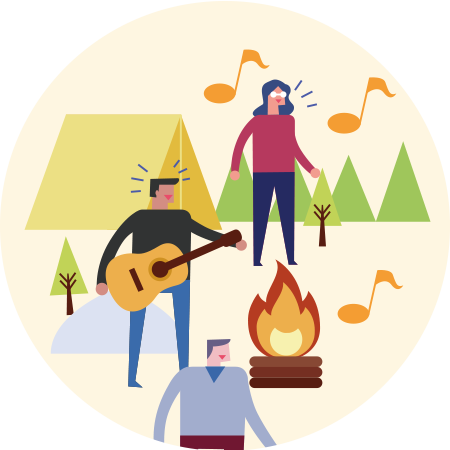 You can start a community according to your interests or just simply bring a large group of people together under one app. Use tools such as Events and Polls to engage in productive activities. Create smaller groups within the community for closer cooperation. 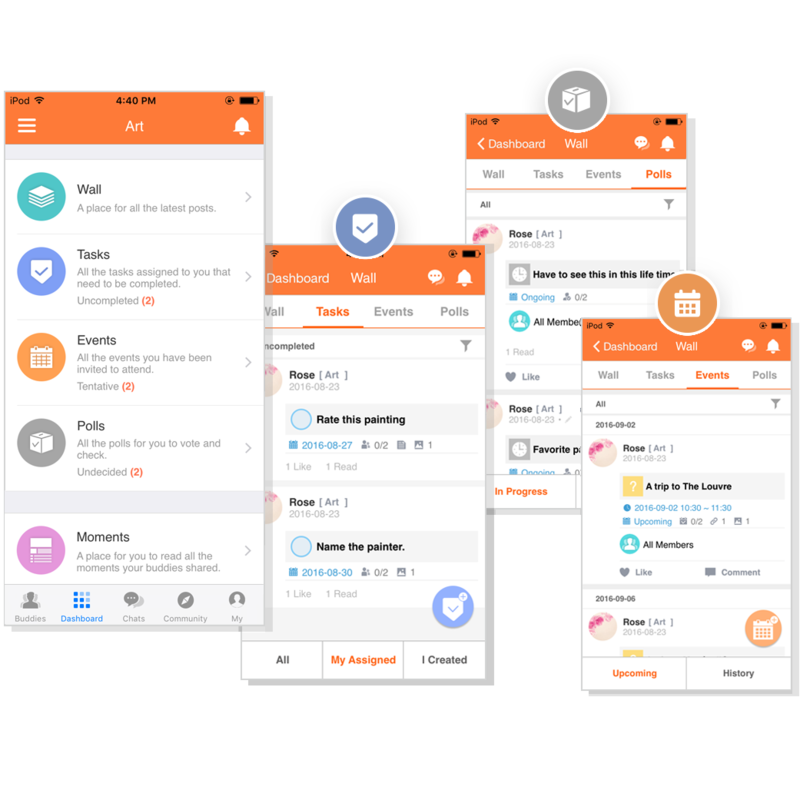 Add a buddy within your community or group for one-on-one conversation. All the tasks, events, and polls related to you in one place. Wall shows everything that is going on with all of your groups and buddies. Moments show you all the precious moments shared by your buddies. Combine multiple apps into one single app! 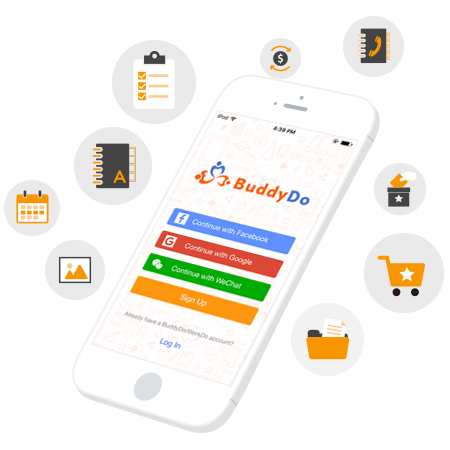 Navigate easily throughout BuddyDo to switch from community to group to buddies. See announcements from your church or neighborhood using community. Vote for the weekend BBQ menu poll from your group in the community. Chat with a buddy from your neighborhood about the latest news. You can do all these using just one single app. 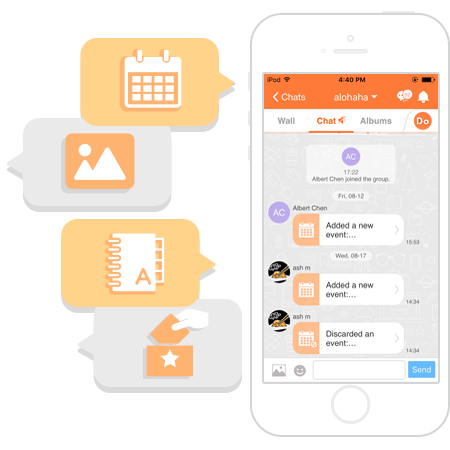 Communicate quickly and efficiently with everyone in your community using instant messaging. Chat with smaller groups within the community to get things done. Chat one-on-one with a buddy to keep in touch and bring relationships closer.